To view in your web browser – Click HERE. What Does the Transition Skills Summary (TSS) Measure? "...Start at birth, and coordinate services into comprehensive early childhood programs...[in order to] achieve greater economic and social gains." Economically speaking, we know that making an investment in early childhood can change the trajectory of our schools, jobs and community. 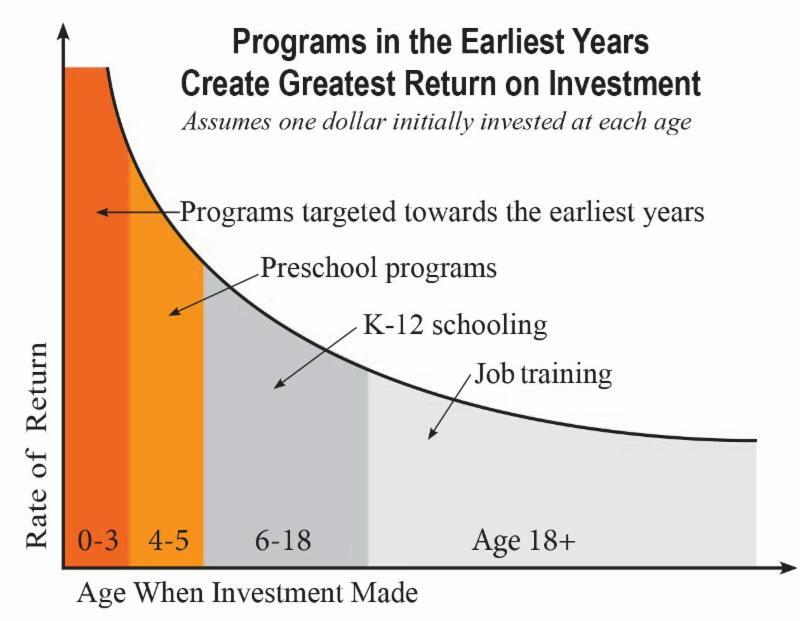 University of Chicago and Nobel Prize Laureate in Economics, Professor James Heckman, demonstrates the high potential of the return in investing in programs targeted towards the earliest years. According to the Ohio Business Roundtable (OBR) report, What Difference Are We Making? An Assessment on the State of Early Learning in Ohio, "expanding early learning - including high-quality preschool - provides society with a return on investment of up to $8.60 for every $1.00 spent." The OBR report challenges not only the state, but also Stark County to realize a "renewed call to action" and to "act with a clear sense of urgency" to reach Ohio's statewide goal and ensure that by "2025, 90% of Ohio children entering school will be ready to succeed". One way to invest in early childhood is to establish a mechanism that will close the achievement and opportunity gaps for early learners and fortify solid foundations for students, both in academics and social-emotional growth. Through a collaborative team approach, the Early Childhood Resource Center, Stark Education Partnership and State Support Region 9 have implemented the Stark County Transition Skills Summary (TSS) Collaborative Project. The TSS is aligned with the Ohio Department of Education's Early Learning and Developmental Standards and can be used as predictive evidence of a child's Ohio's Kindergarten Readiness Assessment (KRA) scores. As an observation tool, the TSS captures a child's progress in five developmental areas using 47 key developmental skills. Use of this tool will enhance classroom instruction, ensure progress towards kindergarten readiness, and provide interventions and supports for students. Families will receive a copy of their child's summary report and may work with their child's teacher or early childcare center to receive intervention and supports. The TSS will strengthen the family and school connection - a critical benefit. The TSS, funded by Stark Education Partnership, will be offered to early childhood sites throughout Stark County this school year. Registration is open until December 11, 2017. The Stark Education Partnership - a 501(c)3 non-profit organization in Stark County, Ohio - is a catalyst, engaging and collaborating with education, business, civic and community stakeholders to drive sustainable improvement and innovation to provide all students with education and career success.